I'm in Haven: Heart Filled Happy New Years!!! Heart Filled Happy New Years!!! I LOVE hearts...is there anyone who doesn't?! And I can't get enough heart dies...especially nesting and little heart dies. It seems that most of the dies I have, though, are stand alones or if they nest, are too big to do much with on a standard card. Simon Says Stamp has just come out with some really cool sets of dies that are so sweet...perfectly sized...all the way to teeny... are wonderful as stand alones, but NEST TOO!! I didn't realize it, but the 4 Large Heart Dies, with their different shapes ACTUALLY NEST...found out through experimentation although I'm sure they were designed that way! Used the Large Holiday Shapes as well for the 3 smaller hearts. And the sentiments from Simon Says Stamp Talk Bubbles 2 are too cute...you'll see more of them in days to come! 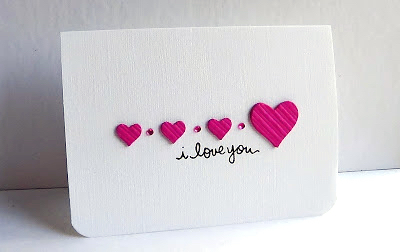 I die cut the hearts and then used the same hearts to emboss the card before popping it up and adding the die cuts. The second card used the set Large Holiday Shapes. I die cut, layered and used my SSS Air Vent die to emboss...I love to emboss with dies:)!! The sentiment is from SSS Just a Love Note. Dotted with pink rhinestones. This third one, I decided to die cut enough hearts to go across a card and then stamped on one with a stamp designed for the bigger heart die, but so fit what I wanted. The heart is also from the 4 Large Hearts and the sentiment from a stamp set that coordinates with them...Lots of Hearts. I have more cards to show you in the days to come....I have been having lots of fun!! These cards are incredible! Your cards are always so clean and simple, yet they pack a powerful punch of creativity and cleverness! Happy new years to you and your family Lisa! So glad that you are feeling better. You are rocking the heart dies...I especially love the last card...the sentiment placement is perfect. LOVE them all! Happy 2013! What gorgeous cards and such wonderful inspiration! Happy 2013! I loved!!!!!!!!! How can Iemboss with the dies??? i just may have to pick up those heart dies Lisa. You enabler. hee. I love how you cut a few out and embossed the bg. Loooooooooooove that. I love all of these! I agree who doesn't love hearts?? I have to say the first one is totally amazing! 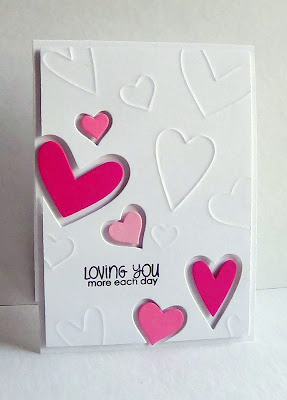 So fun catching up on your blog ... LOVE, love the die cut hearts, what a great effect!! CAS-ual Fridays 82 ...Score It! Winners of the "Thinking of You" Dies!! 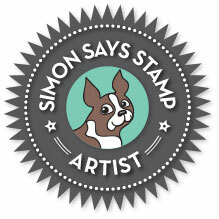 Simon Says Stamp Gratitude Hop Winner? Winter Thinking of You...and TWO Giveaways!